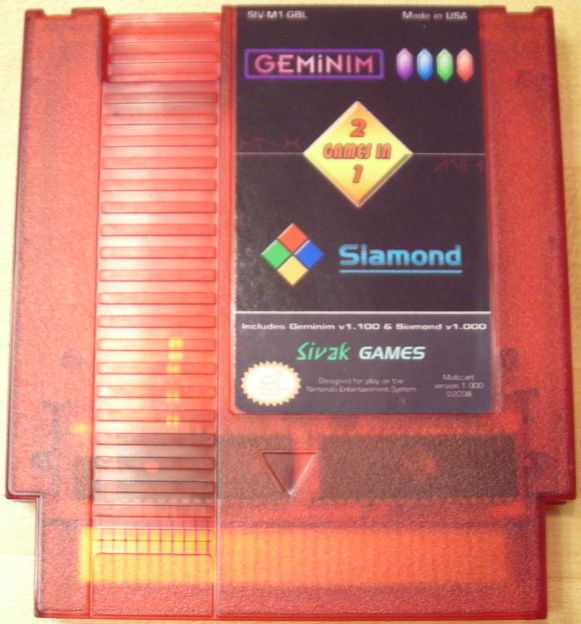 Get the first games in the Sivak line on one cart, Geminim and Siamond! In this multicart, you'll be able to experience the first two games by Sivak Games. 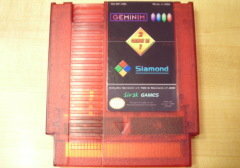 Included are the games Geminim and Siamond. 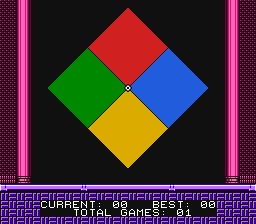 Geminim is based on the logic game of Nim. 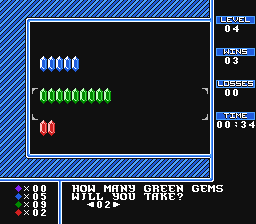 On your turn, you must take some gems from one color away and eventually hope to be the one who takes the last gem and win the round. Version 1.100 is included. Siamond is based on the mind game of Simon. Repeat the pattern presented to you perfectly for as long as you can. Version 1.000 is included. 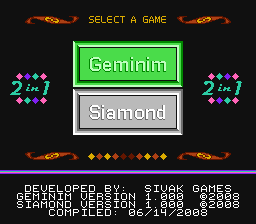 Choose your game Geminim stealing gems Lose to Siamond!